ARTBA P3 Awards luncheon, from left to right: ARTBA Chairman Matt Cummings (AECOM); Tony Elkins (Cintra); Jane Garvey (Meridiam), the P3 Champion of the Year winner; Bill Hale (Texas DOT accepting the P3 Project of the Year award); Steve DeWitt (ACS Infrastructure Development, Inc.); Megan Kenny (Texas DOT); and Simon Santiago of (Nossaman LLP), the 2018 P3 Division president. Jane Garvey, North American chairwoman of Meridiam Infrastructure, and the North Tarrant Express project in Texas are models of excellence in innovative transportation financing. 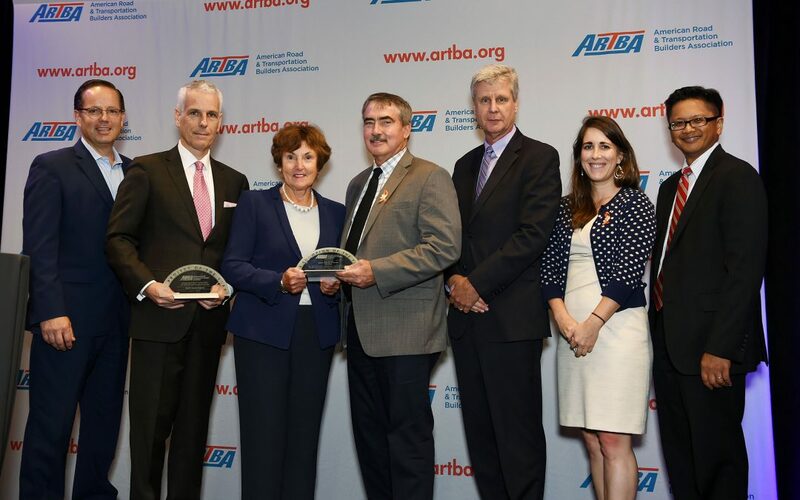 They were recognized at ARTBA’s 30th Annual Public Private Partnerships (P3s) in Transportation Conference, July 19, in the Nation’s Capital. P3 Champion of the Year: Jane Garvey. It is given to an individual who has made outstanding contributions to the forward progress of P3s in the U.S. transportation industry. P3 Project of the Year: North Tarrant Express in Texas. It annually spotlights a project that demonstrates the value P3s bring to U.S. transportation development. The $2.1 billion, 13.5-mile North Tarrant Express project improved safety and doubled highway capacity lanes across six municipalities in North Texas, including one of the state’s busiest highway corridors with as many as 200,000 cars traveling the stretch daily. The project, which began in 2010 and was completed nine months ahead of schedule in late 2014, was long considered a high priority for the Texas Department of Transportation (TxDOT) and became one of the first P3 projects of its kind to be approved under comprehensive state legislation passed in 2003. The project team includes: NTE Mobility Partners, Bluebonnet Contractors LLC, Webber LLC, North Central Texas Council of Governments, TxDOT, Regional Transportation Council, Cintra U.S., Meridiam Infrastructure, and the cities of North Richland Hills, Fort Worth, Haltom City, Hurst, Bedford, and Euless. For three decades, ARTBA’s P3 conference has been the private infrastructure investment community’s premier opportunity to connect with hundreds of key decision makers, project sponsors, private-sector finance executives, and government leaders from all levels. 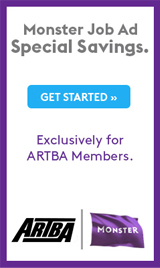 Visit www.artbap3.org to learn more.